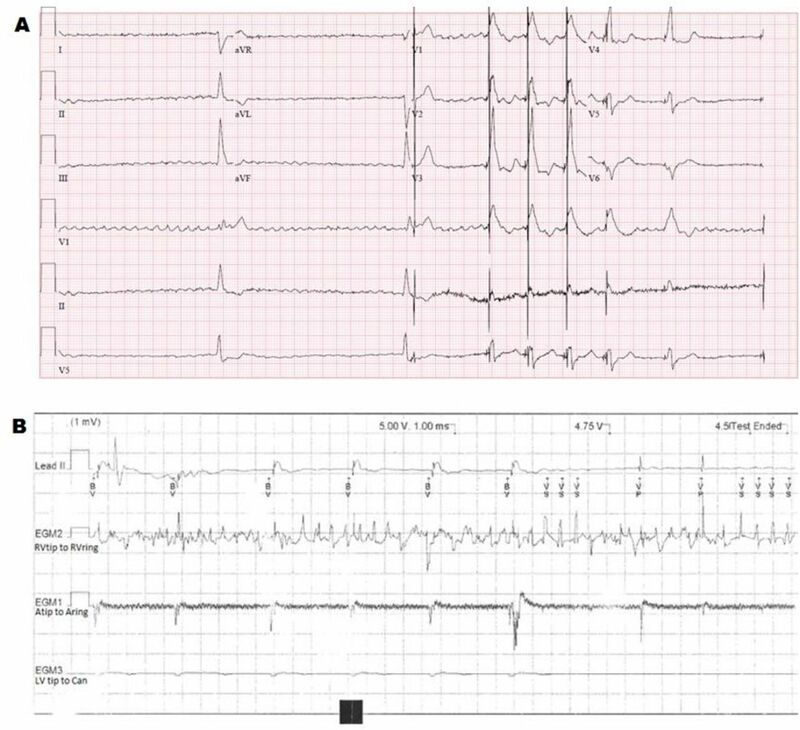 A 67-year-old man presented to the emergency department with sudden onset of severe presyncope. He reported that he had a permanent pacemaker implanted in 2006 following atrioventricular node ablation for persistent atrial fibrillation (AF). After suffering increasing shortness of breath, he underwent upgrade to cardiac resynchronisation therapy (CRT) in 2016. He denied any recent falls, interventions or changes in medication. ECG monitoring showed AF with a broad ventricular escape rhythm at around 25 bpm with pauses of up to 3 s. Placement of a magnet over the device resulted in pacing (figure 1A). 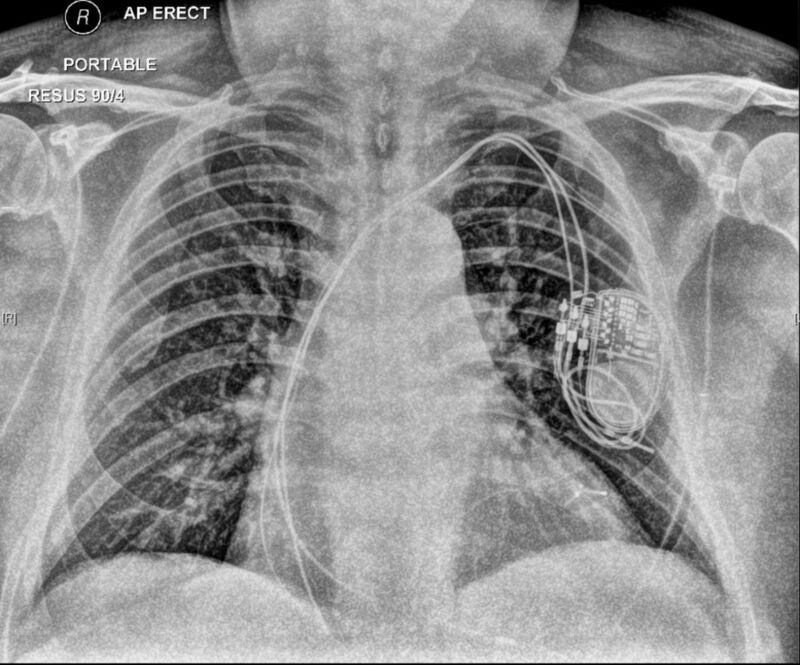 The implanted device (Medtronic Syncra C2TR01) was interrogated (figure 1B), and a chest radiograph was obtained (figure 2). (A) Twelve-lead ECG demonstrating intrinsic rhythm and pacing after application of magnet. (B) Device interrogation with right ventricular threshold test. (C) Anteroposterior chest radiograph demonstrating lead position on admission. Question What was the cause of this presentation? Noise oversensing on the right ventricular (RV) lead due to lead fracture. The RV septal lead has displaced into the right atrial (RA). RA and RV leads were switched in the can during the CRT upgrade. Increase in threshold of RV and left ventricular (LV) leads resulting in loss of capture.